There are many factors that can cause tire wear, such as climate, road surface quality, and your driving style and tire maintenance habits. Tire replacement is absolutely needed when the tread wear indicators appear. A tire’s built-in tread wear indicators look like narrow strips of smooth rubber across the tread and become visible as the tire surface wears. Also, check for the signs of tire wear listed below. A quick and easy way to check your tire wear is with a tread depth gauge. These tools come in either digital or mechanical versions. When your depth gauge tells you that you’ve reached a depth of 1.5 mm or 1/16 inch, it’s time for new tires. The lifespan of your tires depends on how they are used: average driving speed and weather, as well as the types of roads driven on. 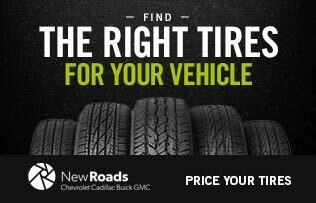 The Certified Service experts at your dealership are trained to find the right tires for your vehicle, which are suited to your driving profile. 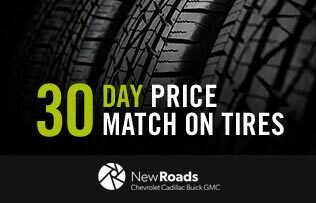 The best way to ensure you get the right tires for your vehicle is by scheduling an appointment. Knowing when to change the entire wheel/rim is also a key element of keeping your tires and vehicle in good shape. The replacement wheel should have the same load-carrying capacity, diameter, width and offset, and be mounted the same way as the one it replaces. The trained tire service experts at your dealership know what kind of replacement wheel/rim you need and when you need it. Each tire performs different tasks (such as steering in front- versus rear-wheel drive), therefore tires wear at different rates. Tires should be rotated every 8,000-13,000 kms to achieve a uniform wear for all tires. It’s important to rotate your tires according to the correct tire-rotation pattern. Doing so will prolong the life of your tires and reduce the risk of sudden tire failure. See the Maintenance Schedule section in your Owner’s Manual for additional information about your specific vehicle. Check your tires using a quality tire pressure gauge at least once a month when the tire is cold (the vehicle has sat for at least 3 hours). The Tire Information Label located on the inside of your vehicle’s door frame has the recommended cold tire pressure for your vehicle. And don't forget to check your spare tire's pressure as well. The Tire Pressure Monitoring System is designed to warn the driver when low-tire-pressure conditions exist. A sensor located in each wheel measures tire pressure and temperature, then transmits data to the Tire Pressure Monitoring System. If the pressure in one or more of your tires is 25 percent or more below the vehicle manufacturer’s recommended cold inflation pressure for tires, a warning indication on the instrument panel will alert the driver.